With TradeMan you can adjust every aspect of trading to your likings. TradeMan is now working again. It allows you to fully customize trade to how you want it to be. [%] How much crowns merchants have - adjusts available initial funds, maximum funds and amount of funds added on merchant refresh. 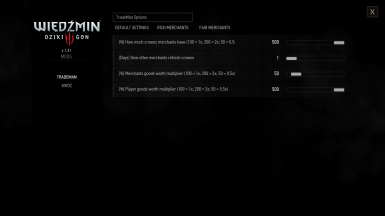 [Days] How often merchants refresh crowns - pretty self explanatory. [%] Merchants goods worth multiplier - merchant item price gets multiplied by this percentage. [%] Player goods worth multiplier - player item price gets multiplied by this percentage. 1a. Download with NMM and activate. 1b. 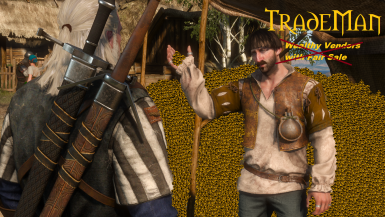 Download manually and unpack "modTradeMan" folder to The Witcher 3 main directory\mods folder. (example D:\TheWitcher3\mods). 2. 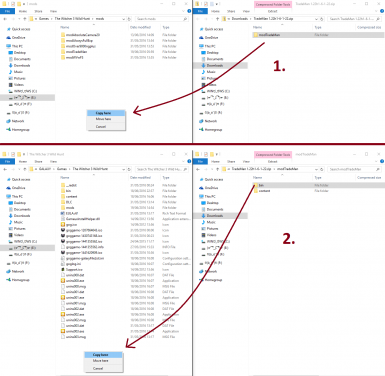 Move bin folder in TheWitcher3\mods\modTradeMan folder to TheWitcher3 main directory. See screenshot if in doubt. If you encounter any bug that can be related to this mod add it to Bugs section and if you have any suggestions about how to improve or what to add to this mod be sure to let me know. Adjusted scripts to new options. Fixed default prices in quantity selection. Fixed negative values constantly changing to default. Fixed massive price display values in inventory. Added adjustable mod settings in game menu.